Journalist and sports historian Rob Sneddon takes a fresh look at the infamous Muhammad Ali–Sonny Liston fight on May 25, 1965, which ended in chaos at a high school hockey rink in Lewiston, Maine. 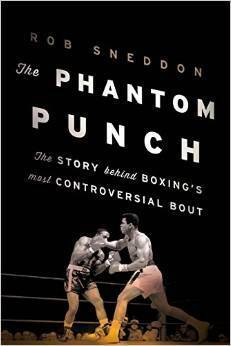 Sneddon digs deep into the fight’s background and comes up with fascinating new takes on boxing promotion in the 1960s; on Ali’s rapid rise and Liston’s sudden fall; on how the bout ended up in Lewiston—and, of course, on Ali’s phantom punch. That single lightning-quick blow triggered a complex chain reaction of events that few people understood, either then or now.